We interviewed former NFL offensive lineman, Joe Hawley. 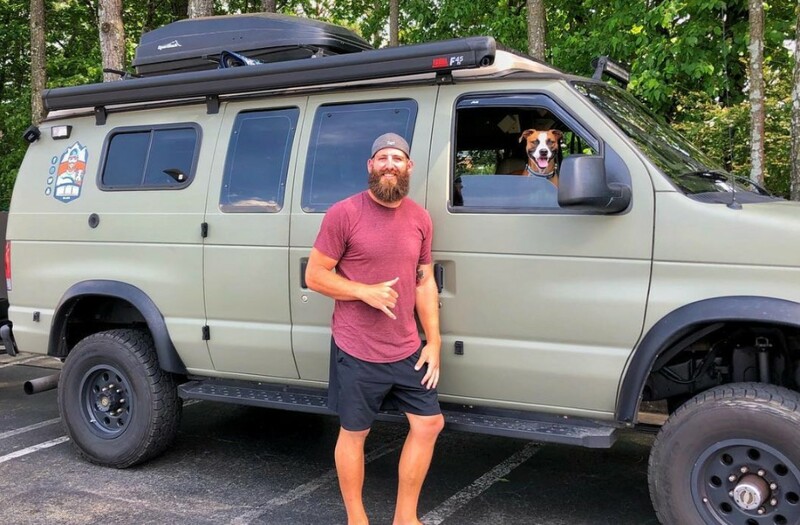 Joe played a total of 8 years for the Tampa Bay Buccaneers and Atlanta Falcons before deciding to get rid of all personal belonging and hit the road with his dog, Freedom. 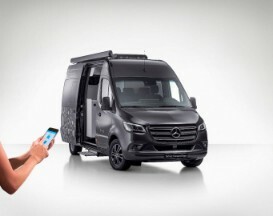 What got you interested in van life? I think everyone at some point in their lives dreams about doing a road trip across the U.S. and I was no different. Sadly, that dream never really becomes a reality for most people. 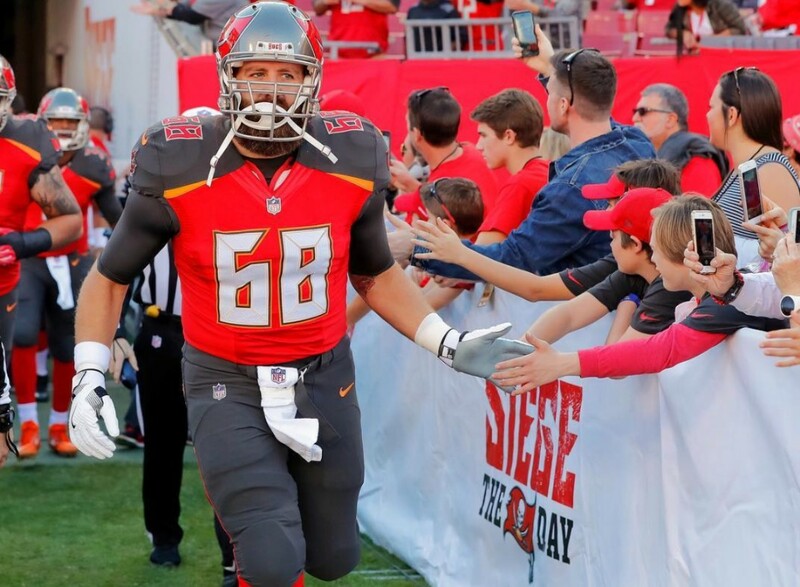 When I knew my NFL career was coming to an end, I saw a very unique opportunity. I really had no excuse. If this was something I really wanted to do, then now was the time. 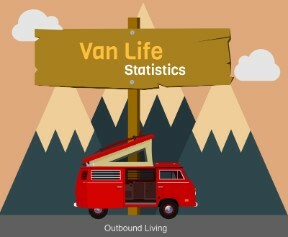 So I started doing some research on what living in a van would look like. I started to realize that this was a lifestyle that a lot of people were deciding to follow. Social media really opened my eyes to how big of a Van Life community there really was which helped build my confidence with the decision. 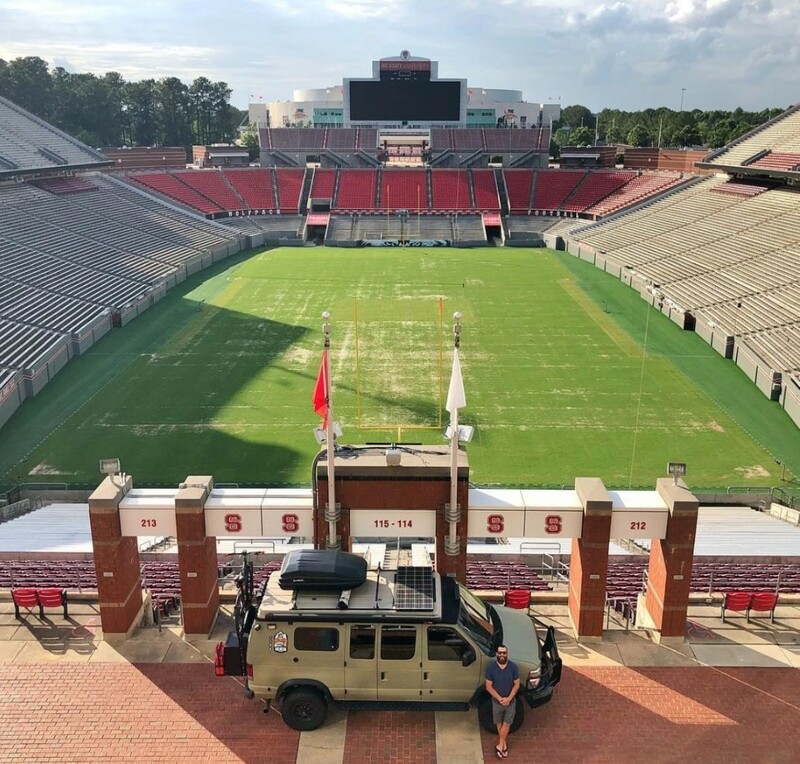 I began to follow and learn from other van lifers via Instagram. I say it all the time… “What a time to be alive” and it really is. Without social media, I know my trip would be a completely different experience. What encouraged you to make the final decision to sell everything and hit the road? 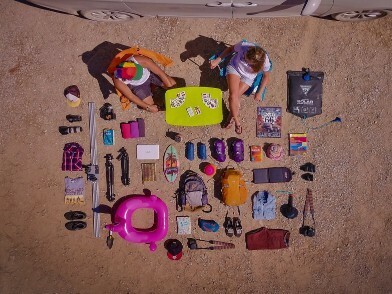 After I decided that I was going to go on a road trip across the country I had to figure out what to do with all my stuff. I knew I didn’t want to pay for storage because I wasn’t sure how long I would be on the road for. At first, I was going to sell it all but quickly learned that it was going to be quite the process. So I made the decision, knowing that I didn’t really need the money, to give away most of my clothes and all of my furniture to Metropolotin Ministries, a non-profit organization out of Tampa, who found some deserving families in need. It really was a win-win, I got to help families in need and they helped me by coming to pick up my furniture with moving trucks. One less thing I had to worry about. Other than the occasional flat tire and normal stuff that occurs on the road, I would say dealing with the heat while I was in the southwest during the summer has been the most challenging. 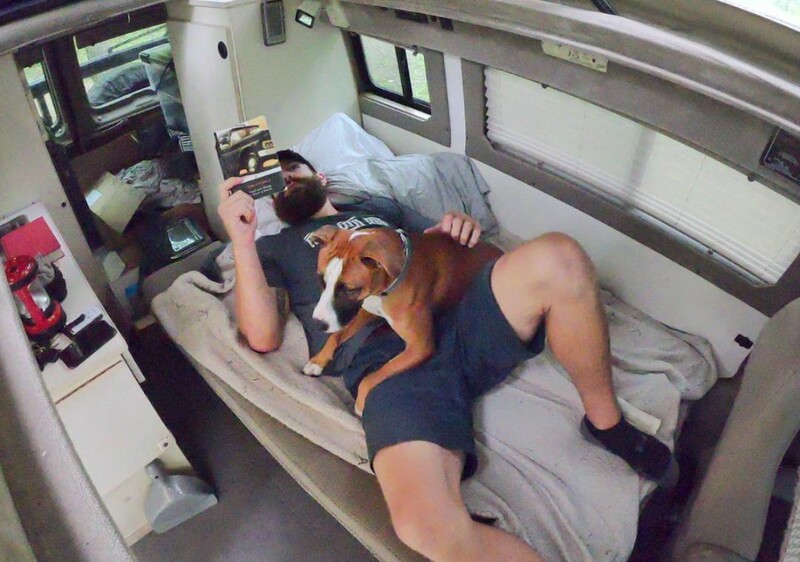 Since my van doesn’t have a central AC, I was forced to get into hotel rooms in order to sleep and make sure freedom was cool enough to relax. 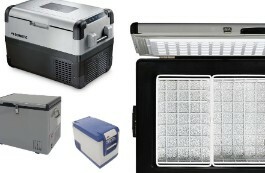 I am actually looking into building out a new van in the future that has an AC unit attached. 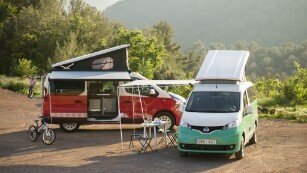 What have you enjoyed most about van life so far? Obviously, seeing all the amazing national parks and baseball parks and having the freedom to just go with the flow have been some of the most amazing things that I, of course, expected to enjoy along the way. What has really surprised me, though, has been all of the cool, like-minded people I have met along the way. I have developed some really close relationships while on the road with people that will be a part of my life for a long time and for that I am extremely grateful. 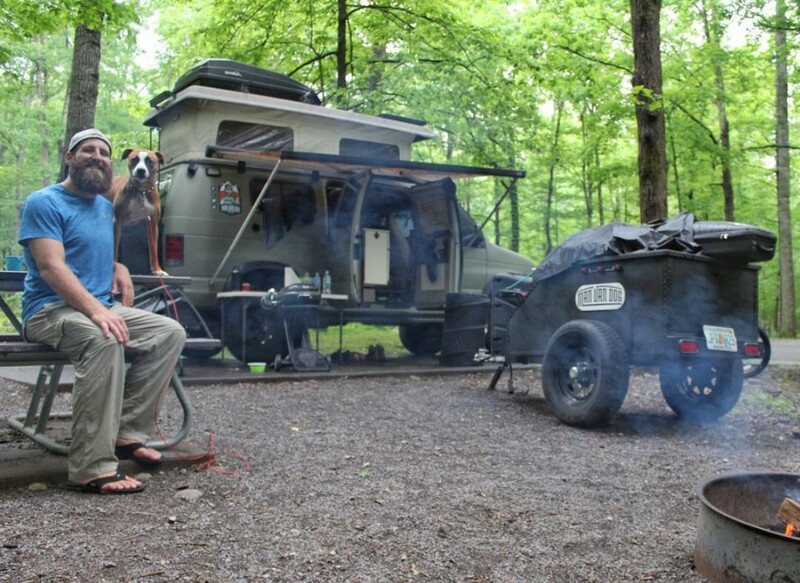 How has Freedom responded to living on the road? Freedom has really adjusted well to living on the road. When I rescued her from the shelter, she was really skittish and still deals with the separation anxiety quite a bit, but I don’t think a dog could really ask for a better situation. She gets to spend the majority of her day traveling around the country with her human. I don’t think it gets much better than that for a dog. She loves sticking her head out the window to smell the streets, there is no telling how many smells shes gotten a hold of out on the road. I consider myself very lucky for having found Freedom. I really do think she is some sort of guardian angel that was sent to support me along this journey. I don’t know what I would do without her. This trip would definitely not be the same. I started this trip so that I could see this beautiful country with my own two eyes. Now, 6 months in, it has grown into something so much more. I’ve not only seen some amazing places but I have met so many cool like-minded people. This trip has been a transformative experience to say the least. If I could give some advice for those of you who want to travel: let your travels guide you – don’t plan too much – get outside of your comfort zone as much as possible – meet new people – stay positive, it all happens for a reason. I keep my heart open and trust the universe to guide me. I have so much more to see, so much more to learn, so I’m just going to take it one day at a time and trust the process. Life is meant to be lived, get out there and experience it for yourself. 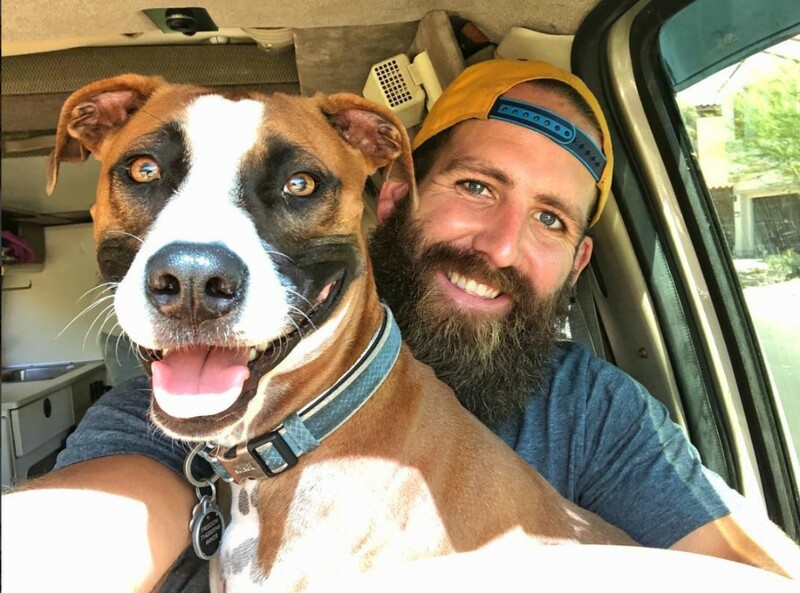 You can follow Joe’s journey on social @ManVanDogBlog and visit manvandogblog.com to learn more about his story.